“Two degrees is not a magical limit—it’s clearly a political goal,” says Hans Joachim Schellnhuber, director of the Potsdam Institute for Climate Impact Research (PIK). 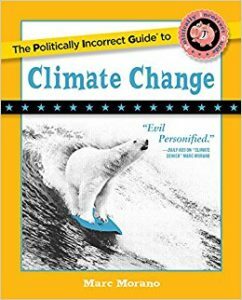 But the new best selling book, “The Politically Incorrect Guide to Climate Change,” reveals that the UN’s mythical “2 degree” limit was “plucked out of thin air” and has no scientific basis. Will UN treaties, EPA regulations, and personal sacrifices for the planet actually impact the climate? As we’ll see, even the Obama administration EPA chief admitted there would be no measurable climate impact from these proposed remedies. 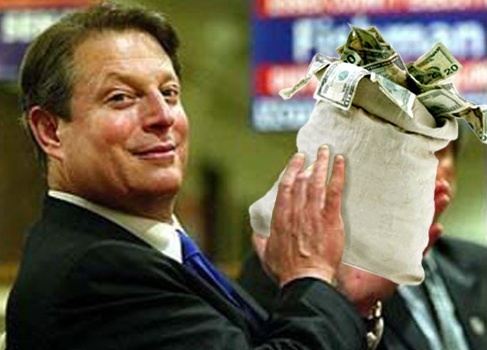 If we had to rely on the UN or EPA to save us from global warming, we would all be doomed. Nothing the UN is proposing to solve climate change would have any significant impact on temperatures or extreme weather events even if you accept the climate warmists’ scientific claims. In any case, the UN’s agenda of limiting the Earth’s temperature to a rise of no more than two degrees Celsius is a target “plucked out of thin air,” according to an email exposed in the Climategate scandal—about which, much more later. The warmists seem to believe that international agreements can act as thermostatic controls for the earth’s climate. A G8 Summit in 2009 announced a “historic breakthrough” when Western leaders “agreed to the goal of keeping the world’s temperatures from rising more than 2C.” Philip Stott, professor emeritus of Biogeography at the University of London ridiculed the idea that politicians can control the Earth’s climate with regulations. “Angela Merkel, the German chancellor, and my own good Prime Minister [Tony Blair], for whom I voted—let me emphasize—arguing in public as to who in ‘Annie get the gun style’ could produce the best temperature. ‘I could do two degrees C,’ said Angela. ‘No, I could only do three,’ said Tony. Stand back a minute. Those are politicians telling you that they can control climate to a degree Celsius,” Stott said in disbelief. Ironically, the EPA had admitted that its climate regulations would not only have no measurable effect on global temperatures, they would not even impact global CO2 levels. Even if the UN Paris pact were fully enacted, it would have no measurable impact on global temperatures. And that’s on the assumption that the UN is correct on the science. The entire campaign is pure symbolism on climate—but the more centrally planned economy would be a reality. Of course, that was before President Trump announced his intention to withdraw from the UN Paris pact in June of 2017. But it is obvious that the activists have no intention of ever admitting that climate change has been solved because if they did they would jeopardize all the other agendas wrapped up in the climate cause.